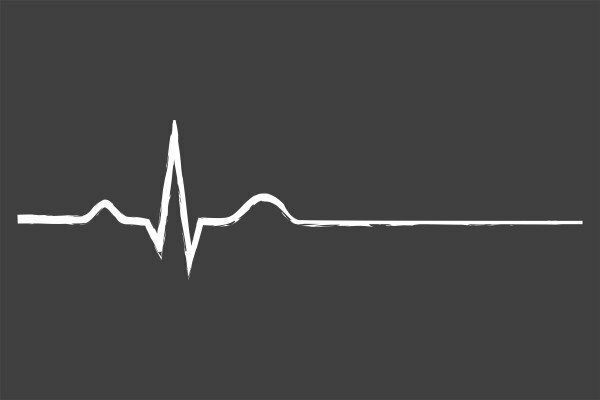 The Big Debate—WordPress Trackbacks And Pingbacks: Are They Dead? For quite a long while now, there has been an ongoing debate about whether or not trackbacks and pingbacks are a good or bad thing. Before just diving into the discussion at large, it is probably best to get an idea of just what these two tools are, how they’re different, and just why there is such a fuss about them. You’re bound to hear about trackbacks in a WordPress related conversation on some point, but just what the heck are they? Basically, using trackbacks allows you to communicate to another blog or blog owner using your WordPress dashboard to alert them about something you think they may like. If you wrote an article that mentioned them in it or if had a link to their site, then sending a trackback would be a quick and easy way of getting their attention and cluing them in to your kind gesture. If they see this notification, that can Approve the trackback and then allow it to display in the comments section on their site with a link back to yours. In some respects, trackbacks are very similar to an @mention in Twitter. Much like Twitter, which allows you to use @mentions in your tweet to alert another user that you had something to say to them, a trackback is WordPress’ way of alerting a WP Admin (if they allow trackbacks — more on that later) in their WP dashboard about what you are trying to bring to their attention and hopefully like enough to allow the trackback to display on their site. Trackbacks and pingbacks alike show up in the comment section the WordPress dashboard and can thus be examined, moderated, and responded to just like a comment making them hard to miss for the site admin. If approved, they show up in the comment section a site and for public eyes to see and click on. But as with everything in life, even though trackbacks have both pros and cons that are worth considering. The most obvious upside to using trackback is the chance that you have to connect and communicate with blogs and/or bloggers that you love, but don’t have a real way of reaching out to. This gives you the opportunity to make real connections that you wouldn’t have the chance to make otherwise. Plus, many bloggers will appreciate the mention and will start to reciprocate your cyber affection. Using them gives you the opportunity to make real connections that you wouldn’t have the chance to make otherwise. Plus, many bloggers will appreciate the mention and may even start to reciprocate your cyber affection. Another notable pro to using a trackback is the possibility of increasing the traffic to your site. Since a trackback is displayed under the post and in the comments section of another site, you have a chance of grabbing that site’s viewers and readership. The potential of this is maximized when your the trackback points back to a page or post that relates to the other blogs audience. The last upside that comes to mind when to using and enabling trackbacks is that you have the upper hand when it comes to others stealing your content and publishing it elsewhere — this happens more often than you think, but the effects of it may not be that bad. Although the upsides to trackbacks could be enough to make you jump on board and use them, they’re really not a perfect communication system. And now after all that praise for the trackback, we come to the portion where we look at the downsides to this technology. Are there downsides? Yes and, unfortunately, they can leave you dropkicking your initial affection for trackbacks to the digital curb, as it were. Unfortunately, there is no actual verification performed on the incoming trackback, and indeed they can even be faked. Yup. You read that right. Trackbacks can indeed be faked (undermining authority and validity), but that’s not where the list of cons for this tool stops. When you’re on the receiving end of trackbacks, you will quickly discover the irritating reality of online spammers looking to boost their own SEO and damage yours. Since trackbacks can be sent manually to literally any WordPress site who will accept them, this means that it is a tactic that can be taken advantage of to a point where it is damaging — and boy do people love to do that. Don’t get me wrong — not everyone who sends a trackback is looking to do something bad to you, but the vast majority who use them tend to use them wrong. Thankfully, if you couple your trackbacks with a tool like Akismet, then you’re bound to catch a large majority of these spammers, but this just means that the spam section of your comments is going to fill up faster than you can keep up with. Since the trackbacks are collected in the comments area of your dashboard, this means that you’ll need to spend the time moderating them. Not all of them are going to good, but they are not all going to be bad either, therefore, you are going to have to go through each one that comes your way, examine it for intent, and then decide if it’s something worth approving or not. Trackbacks are sent manually meaning that you can take the time to send them to the blogs of your choosing. However, very few people, especially high traffic blogs with good page rank actually allow trackbacks on their site. This means that sending them in hopes of connecting with a blog or blogger could be another waste of time. That’s not a blanket statement as many WordPress blog owners still allow them, but the vast majority of them do not like the hassle of dealing with them so they tend to disable them after awhile. This is where things get a tad bit confusing for people who are trying to figure out what makes a trackback different from a pingback. Trackbacks and pingbacks are very similar in what they try to accomplish: alerting another blog to your post or the fact that you mentioned them. However, there are some differences between the two. Whereas trackbacks can be setup and sent manually and create a small excerpt of your post, pingbacks are sent automatically when either (1) you link to someone’s site or (2) they link over to you and they don’t send over any content excerpts. Therefore, if your post or page contains a link to the blog which you hope to alert when posting, then you don’t need to send a trackback to alert them. This difference also implies that whereas a trackback can be faked, a pingback is much harder to fake and tend to be a bit more trustworthy as far as intent goes. You have the chance to connect with other blogs and bloggers. You are posted as a comment on the other blog you alerted and you gain a link that can help your SEO efforts (only if done correctly and the link isn’t a no follow). You can boost your traffic and readership. These are all fine and dandy, but even pingbacks have cons. They can still be spammy. They will fill up the comment section of your site and require time to moderate. Many WordPress blog owners don’t even bother with them. However, pingbacks come with one added downside. Interlinking to the content on your own site is a wonderful practice that can help engage your users and lower the overall bounce rate on your site. However, since a pingback is set up to alert a blog that they’ve been linked to, enabling it on your own site/blog means that linking to other posts or pages on your site will create what is called a self-ping. Enabling trackbacks and pingbacks in WordPress is all pretty simple. You can turn them on and off as a whole, or override your settings on a case by case basis. Navigate to Posts in your WP dashboard menu. Find the post that you want to allow pings on. Check or uncheck the box that says, Allow Pings. Should You Use Trackbacks and Pingbacks or Are They Dead? So now the moment you’ve been waiting for — and one that I’m sure we all want an answer to. Are trackbacks and pingbacks worth using or are they a dead communication tool? As you can see from the overview of the upsides to both of these, the intent behind these tools was nothing but a way for bloggers to sending good vibes between blogs—kudos to that! However, their downsides quickly make the novelty of them quickly wear off as people try to use them for something other than what they were intended for. The spam factor, especially with regards to trackbacks, make them more of an annoyance, and the time you have to spend on moderating them can be too much of a headache. As that is the case, and speaking from personal experience, I’m not a big fan of either one. I never allow trackbacks on my WordPress installs mainly because I don’t like the hassle of spending time on them. Pingbacks, on the other hand, I do like to use in I publish posts but only on a case by case basis. I like to use this in hopes that I can at least tell a blog that I’ve linked to, “Hey, I linked to your site, but I’m not being a spam troll. I just really liked your post and thought it would add value to my readers so thanks!”. Obviously, my pingback doesn’t actually say that, but that is truly my intent when I choose to use them. Even though I don’t expect the blog I linked to actually receive that pingback or to approve it on their site even if they do, it does still offer the chance to connect to that blogger or site admin and possibly create a good online connection. So are pingbacks and trackbacks dead? Well, not yet, but I think they’re limping on their last leg. You have a better chance of connecting with a blog owner and their readers by simply taking the time to write helpful and engaging comments on their blog. Most blogs will allow commenting on posts, and though many of them have a no follow attribute to the links connected to a comment, you still have a better chance of gaining meaningful traffic and authority from blogs that relate to your own site. But what do you guys think? Would you give trackbacks and pingbacks a thumbs-up or thumbs-down? I know you’re all bound to have an opinion on this hot debate so don’t be shy! Yes and I would add the fact that pingbacks can slow down your site quite a bit. Even though I think they have some kind of utility and it’s up to us if we keep them or not. Anyways, thanks for the article, it was a great read. I have never used trackbacks, but I use pingbacks and I like when I receive one and can go check the other site out. I’ve always disabled Trackbacks and Pingbacks; they’re a nuisance, but are they dead? Well, I’ve always considered them to be useless, so… . Both Trackbacks and Pingbacks have been unused for a long long time with us. While I am in the “don’t use either” category, I believe they shouldn’t be removed (well maybe trackbacks), but I would like to see the WordPress “default” of having them set to disabled as a starter. Why isn’t Extra out yet?????? From one of the Dummy books I read, my initial start up to using WP software shed some good note but after seeing alot of spams, I ddecided not to use anything like trackback and pingback again. It’s oblivion right now. Trackbacks and pingbacks are techniques for cautioning websites that you have linked to them. A pingback is a sort of remark that is made when you connection to an alternate blog entry where pingbacks are empowered. The most ideal approach to consider pingbacks is as remote remarks. But Trackbacks are an approach to advise legacy blog frameworks that you’ve connected to them. If you link to a WordPress blog they will be told automaticall utilizing pingbacks, no other activity important. If you are sick of getting spammy trackbacks and pingbacks, then there is a choice for you to cripple them altogether. In the first place go to Settings » Discussion. Uncheck “Allow link notifications from other blogs (pingbacks and trackbacks)”. Unchecking that box will just handicap trackbacks and pingbacks for future posts. We’ve never applied trackbacks, however I take advantage of pingbacks and I love when i obtain 1 and can go examine the opposite web page out. I also heard that they slow down a site and that does matter right now. I switched mine off after hearing that. Most of them are just links but from my experience I have learned that if the trackback are related to your site content it somehow gives you an advantage but if its just an Auto generated or not-related to your post it is bad. We accept Pingbacks on our Tech Mag. It’s one of the most easiest ways to quickly see who refers to you and to check the info on that site. For those worried of their content being copied you can use plugins that will include your link in the copied text automatically and then the ping back will notify of duplicated content. Of course this can be eddied and the link removed but it still can be useful as it’s a set-it-and-forget-it preventing measure. There is nothing I hate worse online than to go to read content and have a pop-up being thrown in my face! That happens, I’m gone! I’ve been confused for a long time about whether or not to allow trackbacks and pingbacks. Reading your post has informed me as to what I will do in future. I’m going to disable them. Thanks for help.